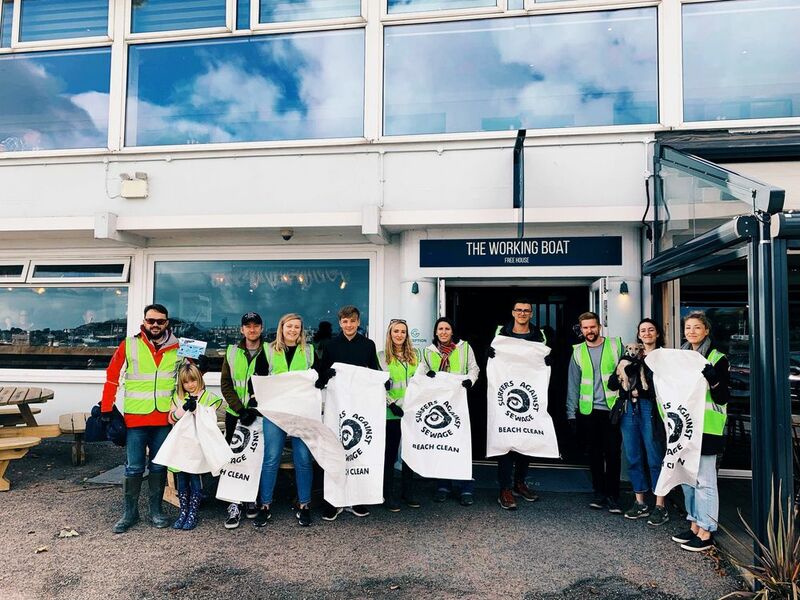 Truthfal’s Izzy Adams attended the Surfers Against Sewage event which was hosted in collaboration with The Greenbank Hotel and The Working Boat. The event was hosted by Surfers Against Sewage in collaboration with The Greenbank Hotel and The Working Boat. Around 30 volunteers were in attendance who spent an afternoon in the sun, picking up everything from litter to car tires, to boat seats and bits of old carpet. The beach at the Greenbank is a great place to find some unusual items. It can only be reached at low tide on one side of the pontoon, or by scrambling down a ladder on the other side. Items which have fallen onto the beach from the road, been washed up from boats and even shipwrecks in the river have been known to be found on this stretch of the beach. More than 6 large sacks were filled and the larger findings were piled up before being taken away to be sorted and disposed of. The most interesting and bizarre finds of the day ranged from a toy soldier, a car tire, a boat seat, underwear, dog poo bags… and a rotten welly boot! The volunteers were treated to a refreshing pint of Sharp’s Offshore Pilsner which was a sponsor of the beach clean – much deserved after their hard work in the sun.